Founders, of Grand Rapids, Michigan, calls this Imperial Brown Ale “decadent” and that is the perfect way to describe this outstanding beer. The head is thick and creamy. The nose is roasty, with tons of chocolate and coffee. The middle is milky, smooth and sweet with mocha and espresso. The finish is bittering slightly, with the coffee and toasted grain coming to the fore. 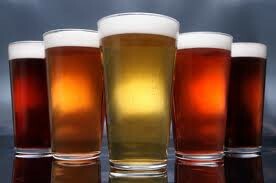 The body is medium to heavy, the alcohol is an imperial 9.0% ABV. This is the perfect coffee lover’s brew, and every bit as good as Founders’ classic Breakfast Stout. This entry was posted in Reviews and tagged Ale, American Brown Ale, American Strong Ale, Brown Ale, Founders, Imperial Brown Ale, Michigan, Strong Ale on June 15, 2016 by Xander. Dogfish Head being Dogfish Head, Indian Brown Ale is not a typical true-to-the-style brown ale, but a hybrid American Brown Ale, Scotch Ale, and of course, India Pale Ale. The result is a rich, malty brew heavy with the flavors of chocolate, caramel, coffee and scent of baked bread with a dry hopped bite at the end for us IPA aficionados. 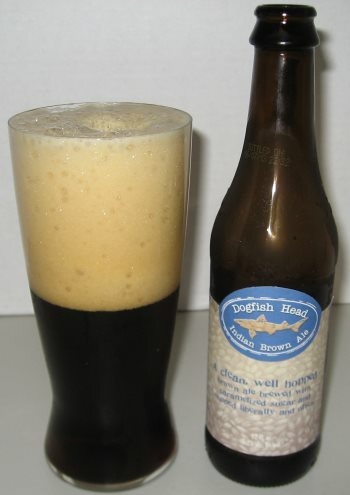 In the past, I’ve tended to prefer hoppy beers to malty beer, so it’s taken me a while to really appreciate what a fine brew Dogfish Head has developed in Indian Brown Ale. This is a great beer for those who don’t care for the bitterness of IPAs, but with just a hint to remind those those of us who do that we haven’t been forgotten. This entry was posted in Reviews and tagged American Brown Ale, Brown Ale, Delaware, Dogfish Head on August 23, 2013 by Xander. 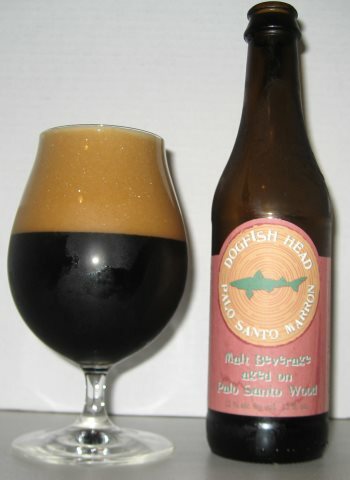 Palo Santo Marron is a big, heavy beer more suited to a cold winter’s night that a hot summer eve, but I had one in the fridge, so reviewed in the summer it will be. It’s called as a “malt beverage” rather than a beer due to FDA labeling requirements, but in fact it’s a big huge brown ale aged in Palo Santo wood, from whence its name is derived. Given the heaviness, the aging, and its 12% ABV, it is far more similar to a oak-aged imperial stout or porter than a traditional brown ale. The nose is heavy with chocolate and musty wood…It’s rich and full and gives you a hint of what’s to come. The middle has massive amounts of flavor. There’s chocolate, caramel, brown sugar, coffee, and burnt toast. The finish has maple syrup, loads of vanilla, more coffee, a hint of cherry, and plenty of heat from the alcohol. This is a big, bold beer that’s a wonder winter warmer, and good enough to be worth grabbing regardless of the time of year. This entry was posted in Reviews and tagged Aged Ale, American Brown Ale, Brown Ale, Delaware, Dogfish Head on July 19, 2013 by Xander.